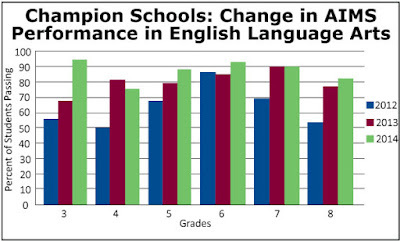 ATI is happy to report that we have witnessed continuous, data-verified student improvement among Galileo K-12 Online users across the country. 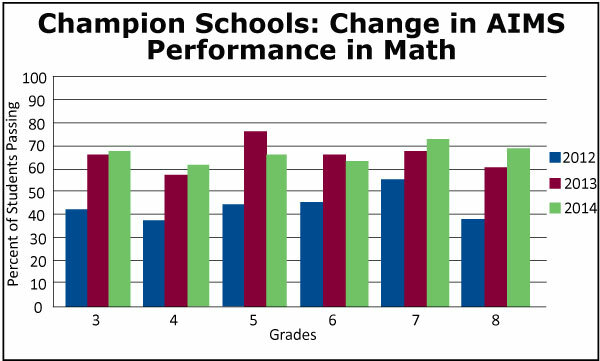 We recently spoke to leadership from Champion Schools, a charter located in Phoenix, Arizona that has experienced exceptional academic gains earning them statewide recognition including being named Arizona Charter Schools Association’s 2013 Charter School of the Year. The school’s leadership attributes their impressive growth and sustained success to the school’s focused approach to intervention supported by Galileo K-12 Online. 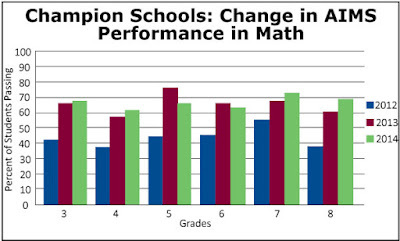 Champion Schools saw an increase in the percent of students passing statewide tests from 2012-2014. 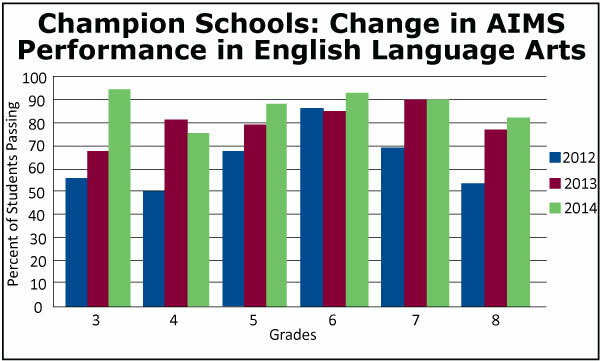 Read more of the full interview with Champion Schools and learn how they effectively used Galileo data and achieved extraordinary results. Read other data-based Success Stories.